i've heard time and time again that as women, we can have it all. cool! that's fantastic, i love that! but...what if that's not true, and you can't or don't have it all? as usual, i point to myself. is there something wrong with the way i'm doing things? it's gotta be me, right? maybe it is, maybe it's not, but surely, i'm not the only one. with work, family, aging parents, the holidays, pets, workouts, and endless obligations...the list goes on and i'm certain we could all add to it for days. it was raining the other day, i had work to finish, stuff to do. important stuff. i was busy! guess what, something fell away. at the moment i cancelled my workout, i had a revelation. i can't have it all! (really, i can't?) everyone else says i can...but in that moment i decided it's okay. you soldier on, you do your best, and you prioritize. and then you accept. it's all okay if i'm okay with it. oddly, with that acceptance i also discovered i can have it all, but only sometimes. only when everything aligns just perfectly. so now, having it all is just something i look forward to, like opening an unexpected present or being surprised by the sweetest thing. someone told me long ago that "good enough is never good enough." 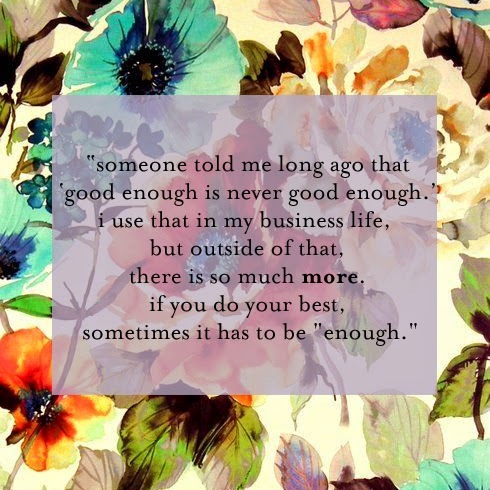 i use that in my business life but outside of that, there is so much more... accept it, gaye, if you do your best, sometimes it has to be "enough." p.s. for those of you who do "have it all"? i need a tutorial desperately. p.p.s. when i ran this blog idea past tyler, our v.p. of sales, she said after writing the title "having it all" the blog should simply say "you can't." guess i'm not the only one!